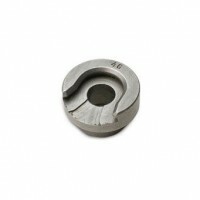 Hornady Shell Holder #13 is precision machined from solid steel then heat treated to perform flawlessly for the life of the press. Works with Hornady presses, Hornady accessories and most other brands of presses. Compare to Lee Precision Shell Holder #R5. Hornady Shell Holder #10 is precision machined from solid steel then heat treated to perform flawle..